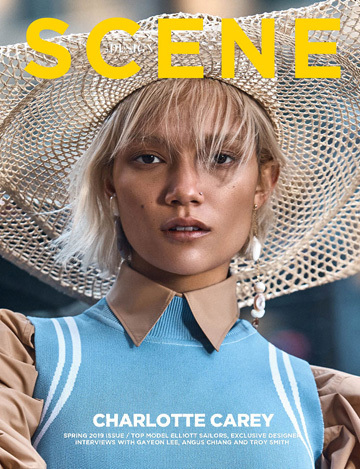 Latest covers featuring supermodels Eniko Mihalik and Monika Jac Jagaciak, top models Ola Rudnicka, Magdalena Jasek, and Maja Salamon, and new comers Aya Jones, and Paula Marcina. The stunning newcomer Aya Jones takes the cover of Numero Magazine‘s May 2015 issue lensed by fashion photographer Daniel Sannwald. Supermodel Eniko Mihalik teams up with fashion photographer Krisztian Eder for Marie Claire Hungary‘s May 2015 cover. In charge of styling was Aniko Molnar with hair by Kaszon Hortobagyi and makeup by Richard Fazekas. Supermodel Monika Jac Jagaciak lands on the cover of Glass Magazine‘s Spring 2015 edition captured by fashion photographer Bojana Tatarska. Fashion photographer Jakov Baricic captures Vogue Ukraine‘s May 2015 Travel cover featuring the gorgeous Paula Marcina styled by Olga Yanul. Makeup is work of Sasa Jokovic with hair styling from Ante Pazanin. Polish top models Ola Rudnicka, Magdalena Jasek, and Maja Salamon join forces for the May 2015 edition of Harper’s Bazaar Poland. For the covers models were styled in pieces from Louis Vuitton collection.